Save the Date! 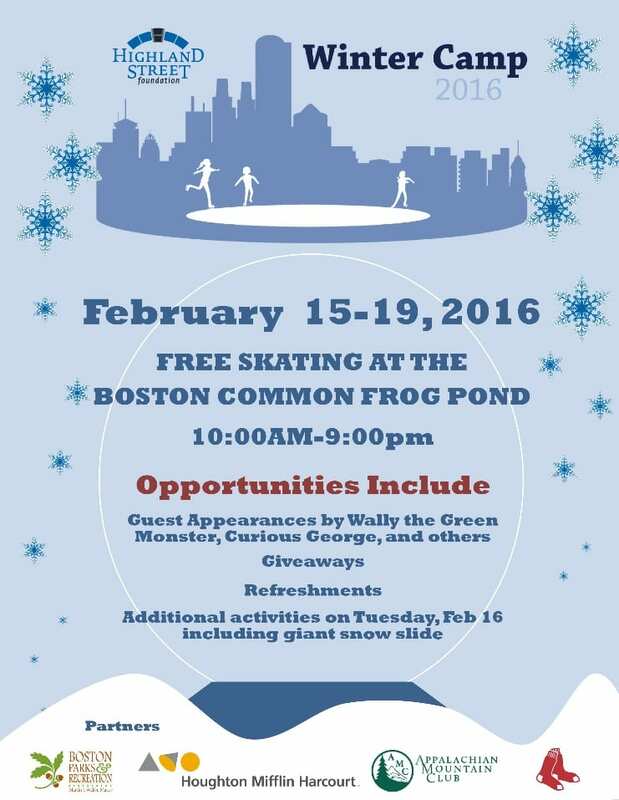 During February Vacation Week in Massachusetts, there will be FREE Ice Skating at Boston Common Frog Pond! Free Ice Skating at Boston Common takes place from February 15-19, 2016 from 10am to 9pm with free ice skating and free rentals too. There will also be guest appearances, giveaways, refreshments and more during the week! Please note to avoid long waiting times, tickets for available time slots will be allocated on a first-come, first-served basis each day at the Frog Pond starting at 10:00am. For more information about Free Ice Skating at Boston Common during February Vacation week, please head here. If you are looking for even more free ice skating opportunities in the Greater Boston area, please head here.